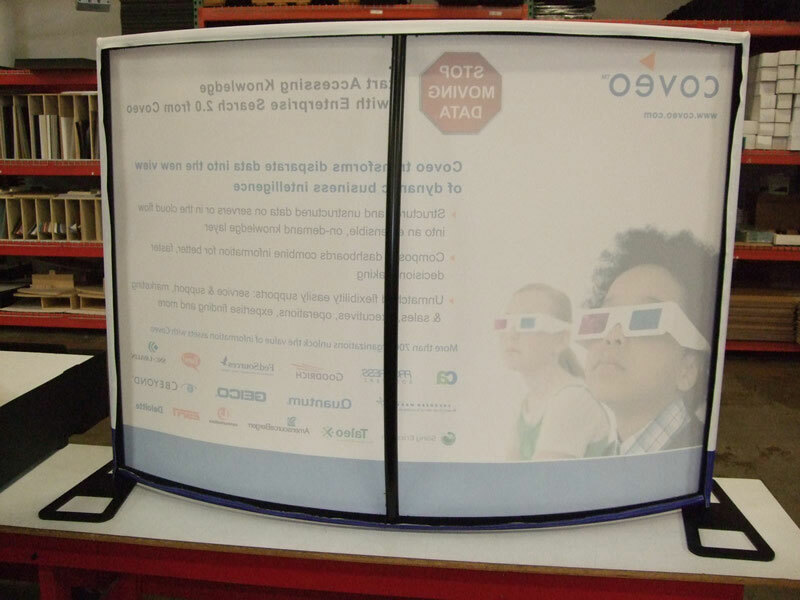 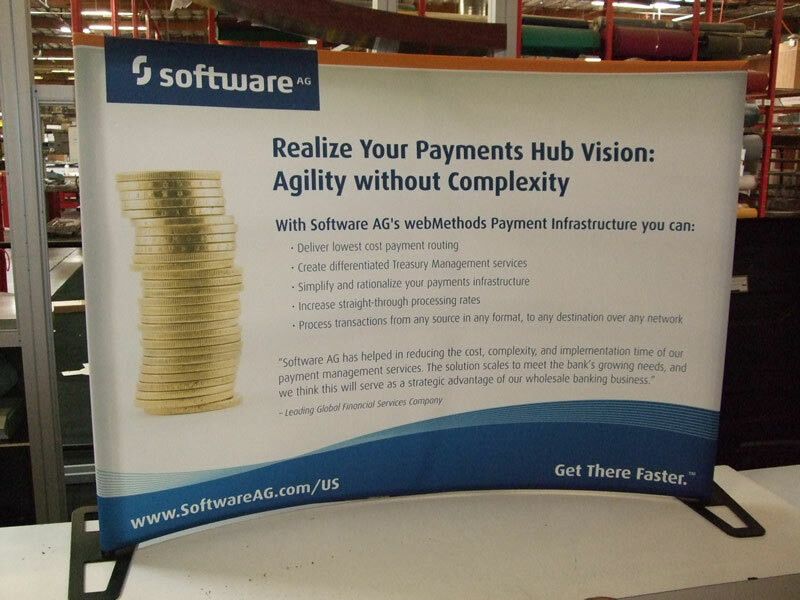 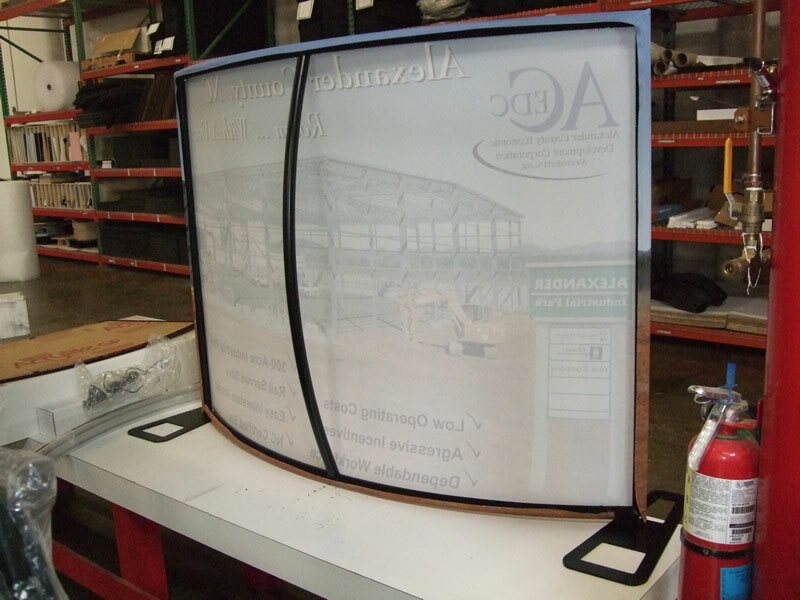 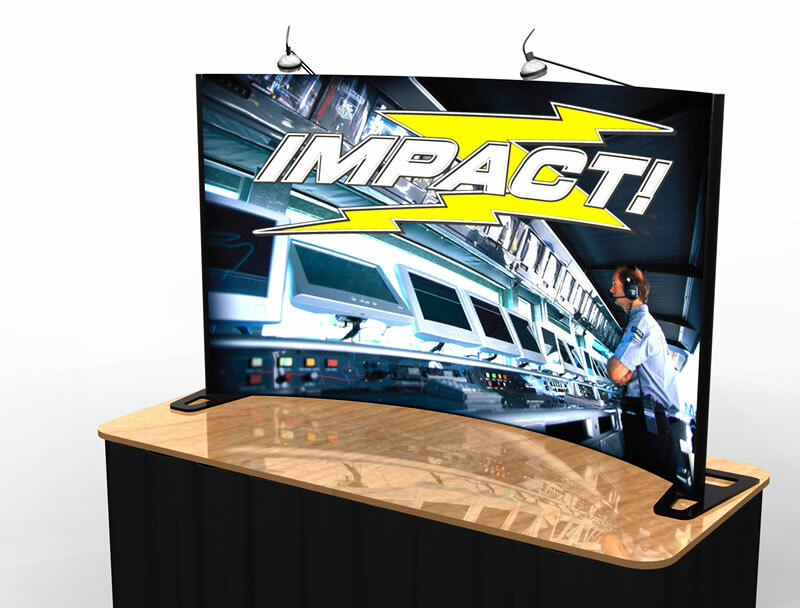 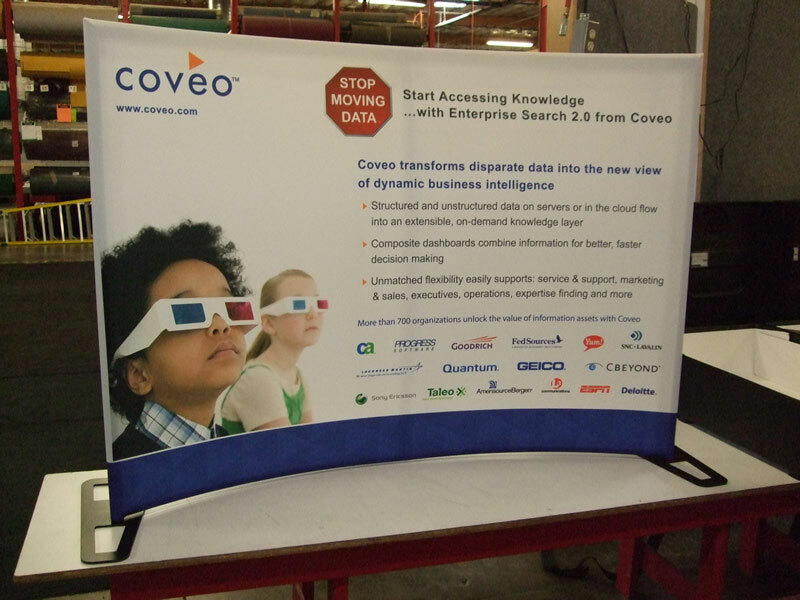 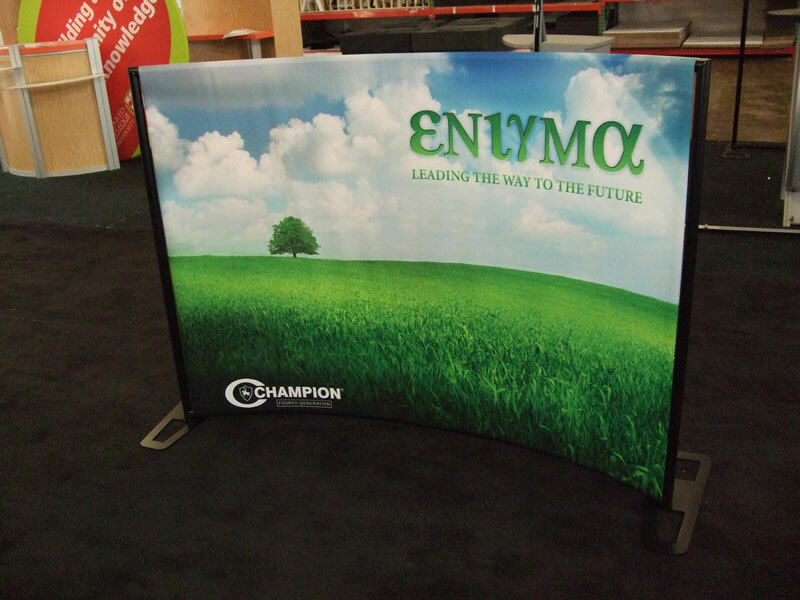 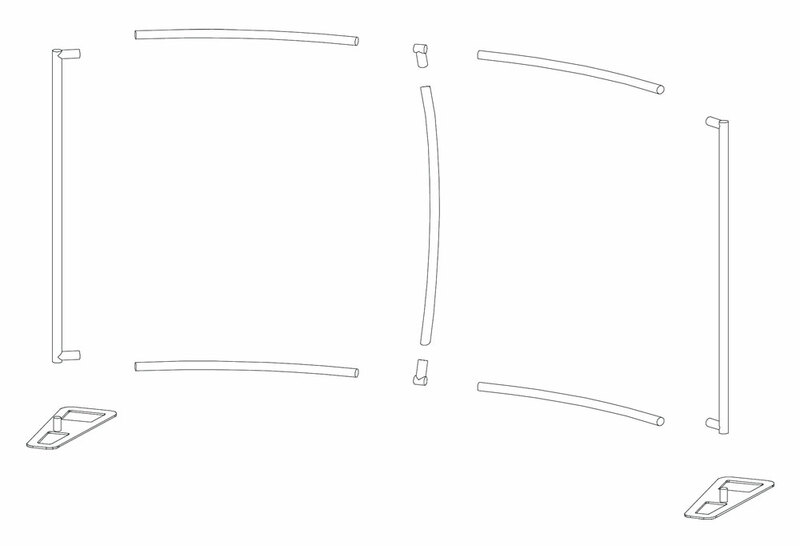 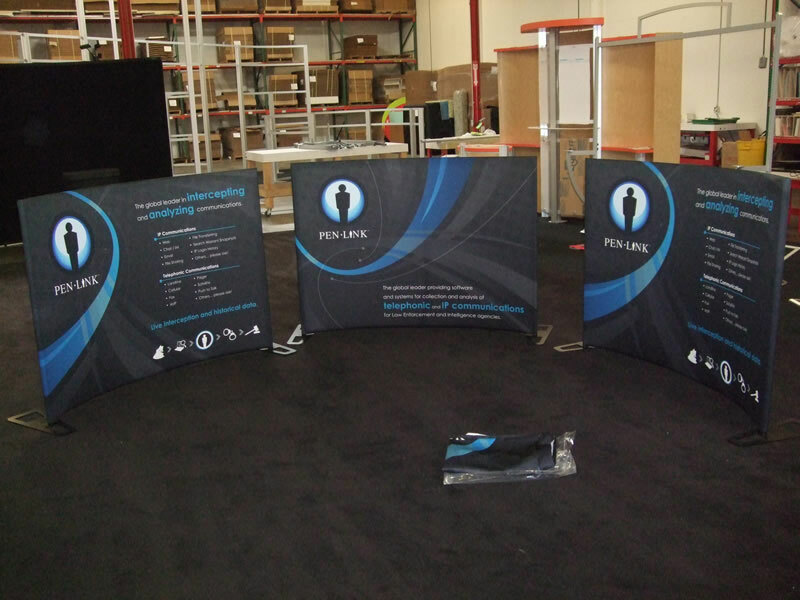 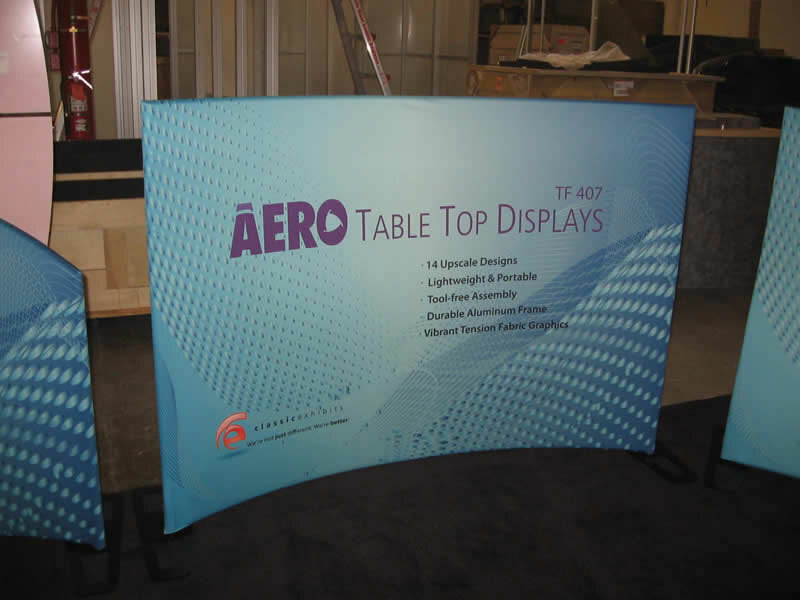 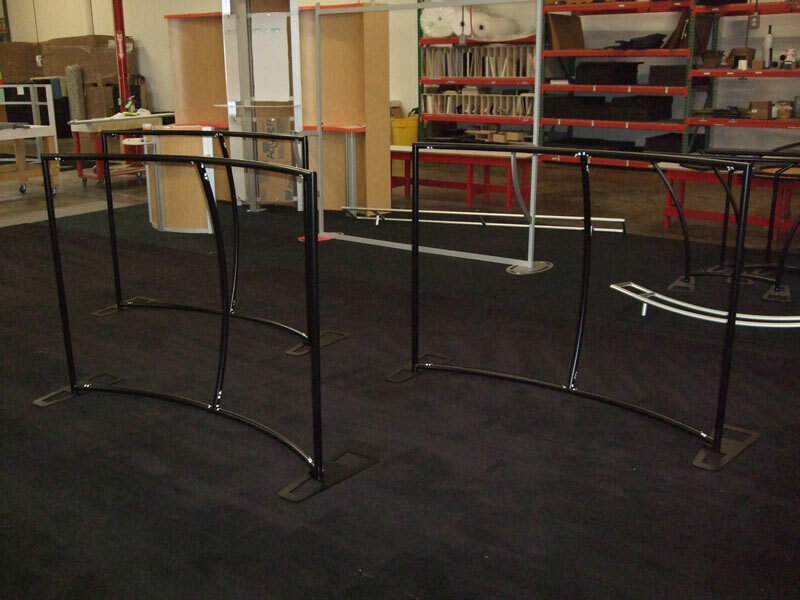 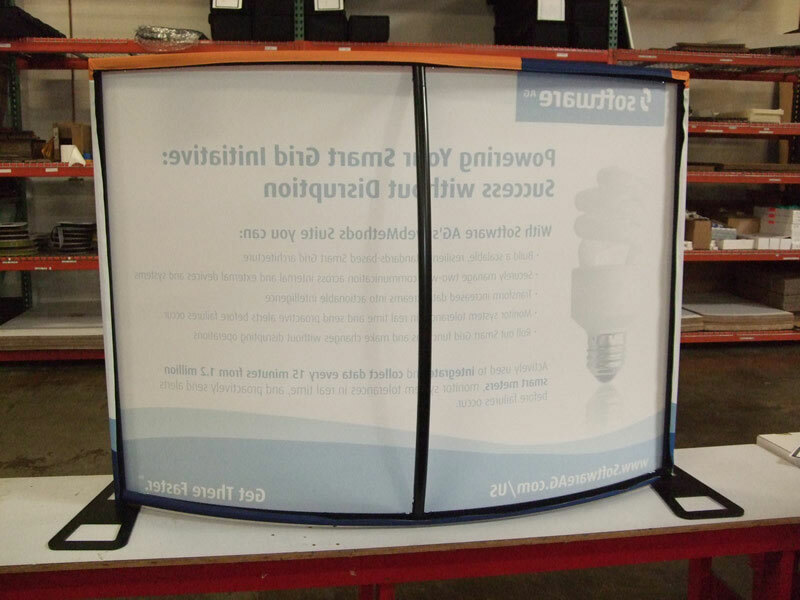 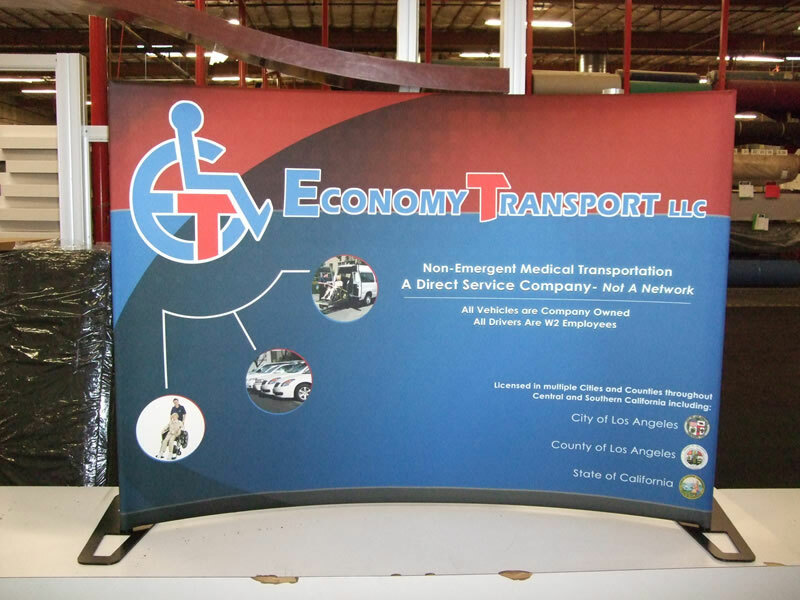 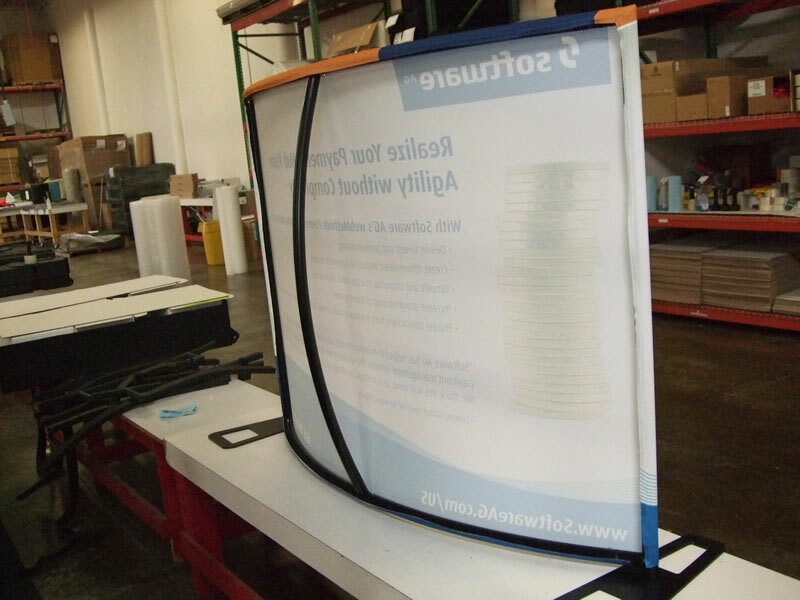 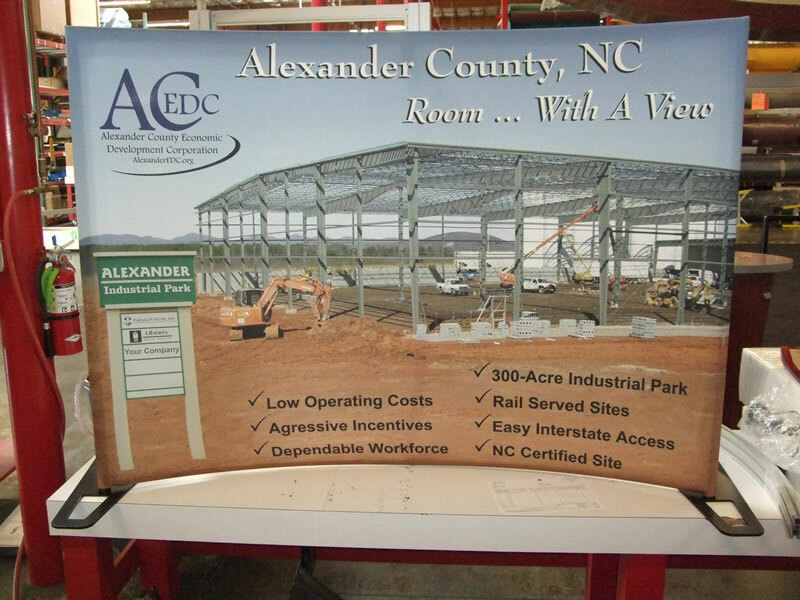 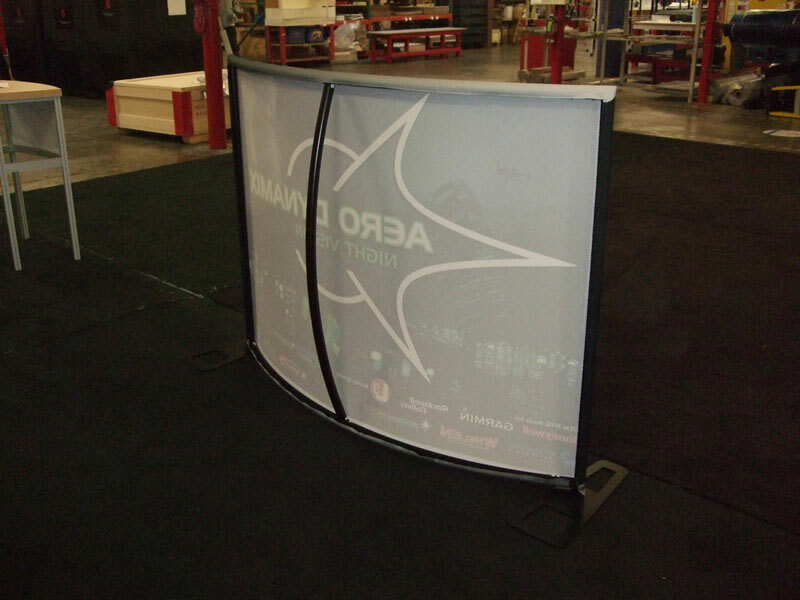 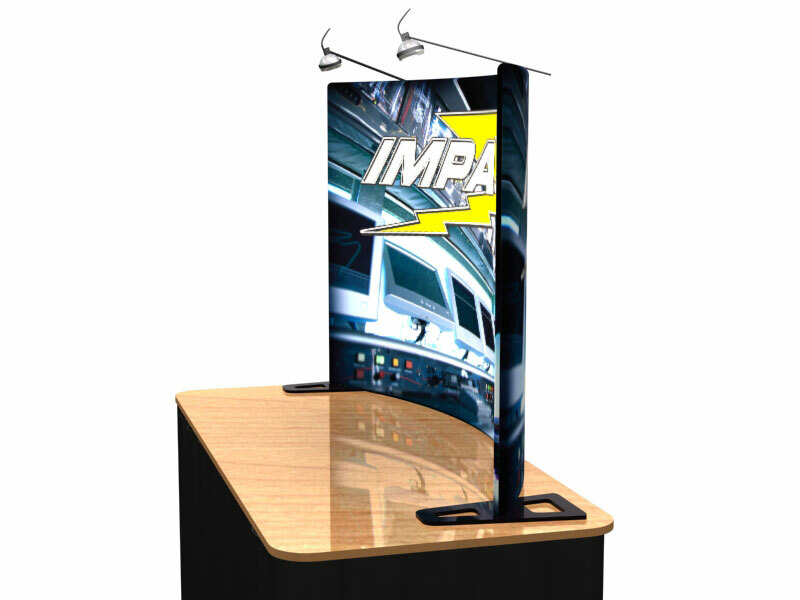 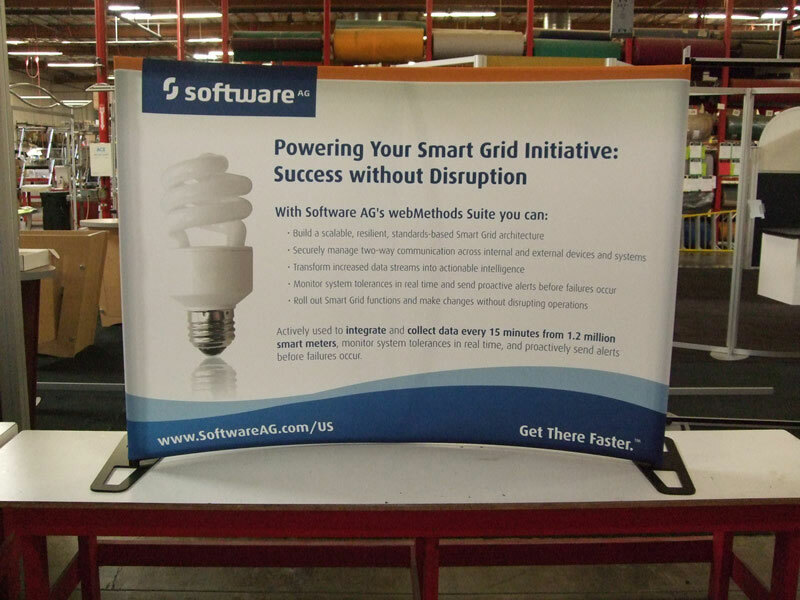 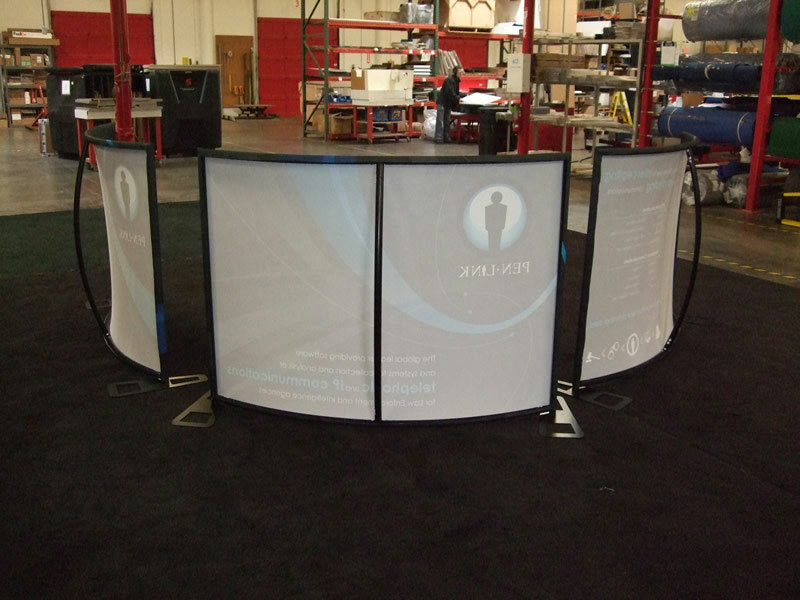 The Aero™ Kit #8 is a 67″ × 48″ × 14″ Curve design tabletop display. 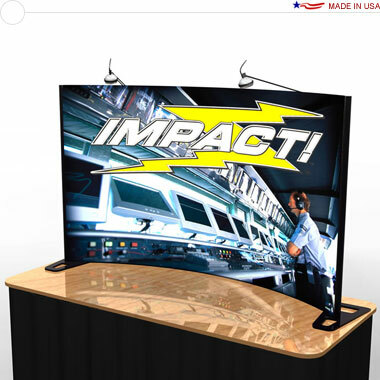 It includes a compact, lightweight metal frame, a vibrant tension fabric graphic, two 50 Watt halogen lights and a portable case with shoulder strap. 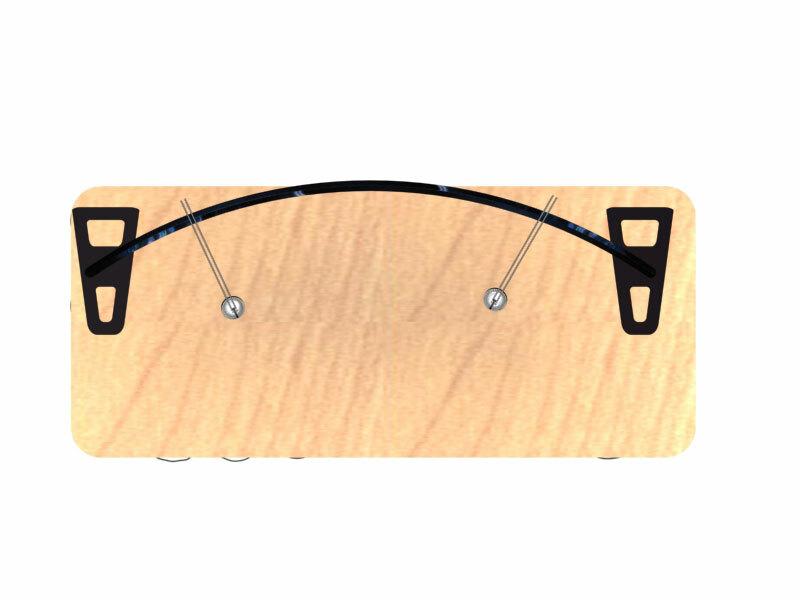 The frame assembles quickly and easily with simple push button connections. 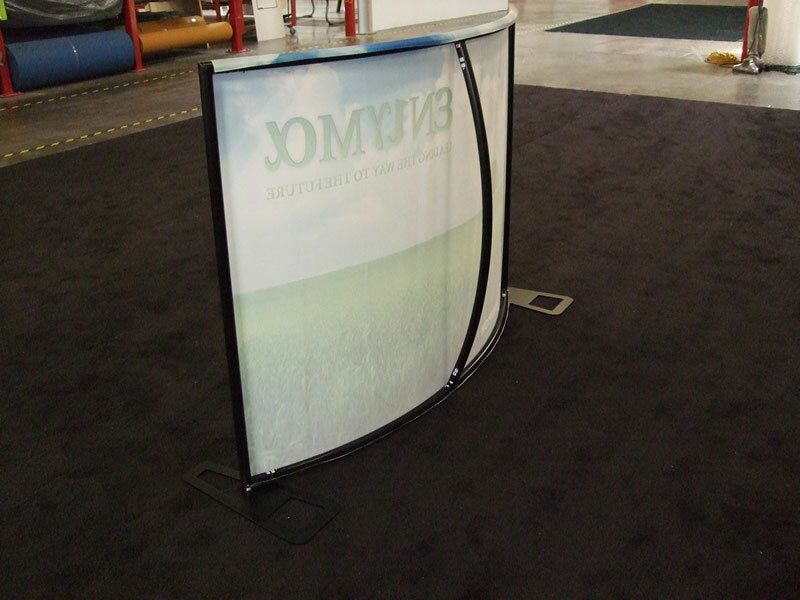 The tension fabric graphic then attaches to the frame, stretched for a smooth appearance. 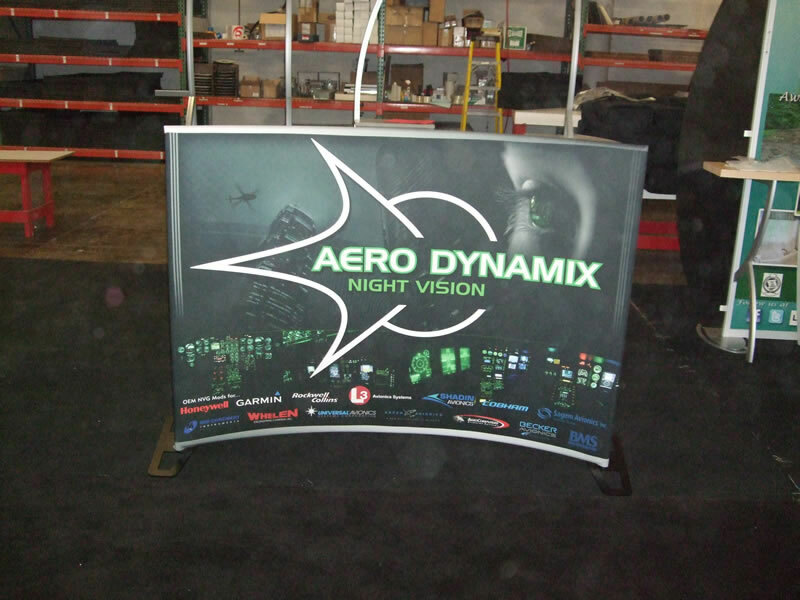 A tension fabric graphic, printed with your submitted artwork, is included. 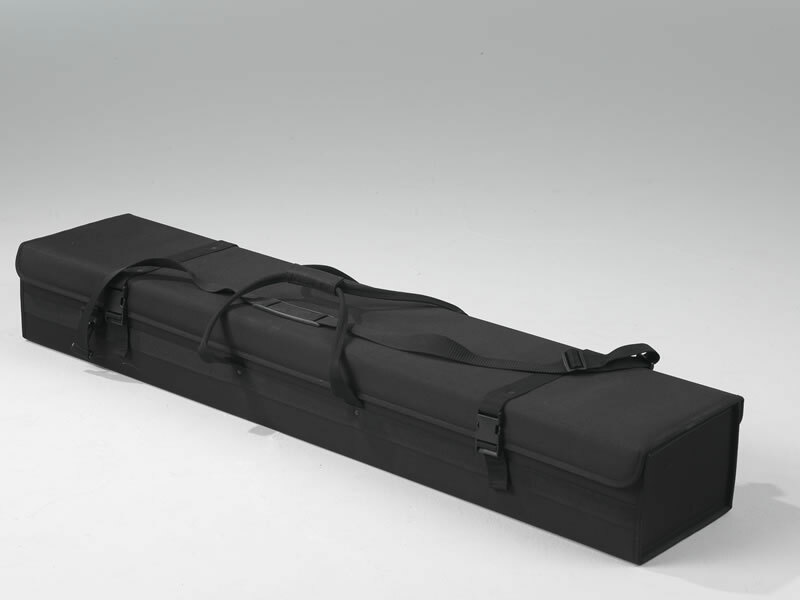 The flat shipping rate is $60.60 USD for standard delivery within the continental United States. 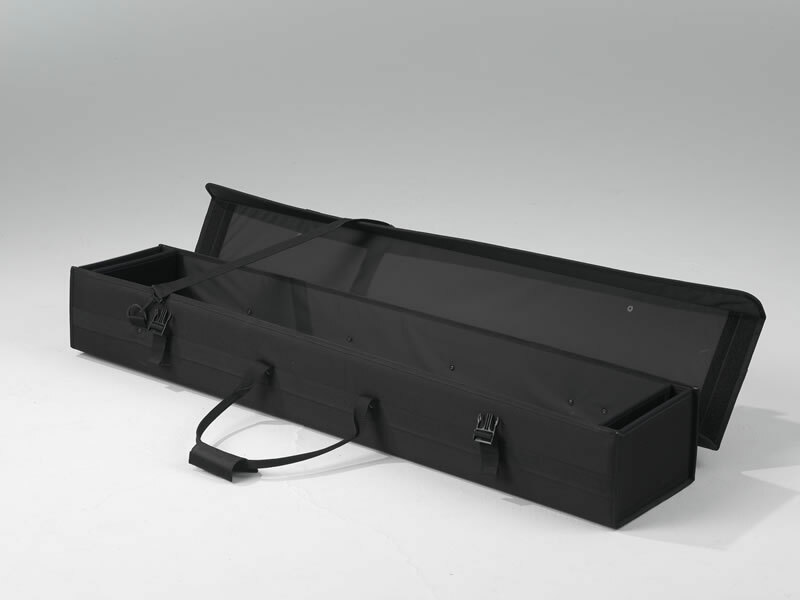 Alternative shipping methods and International shipments are available.